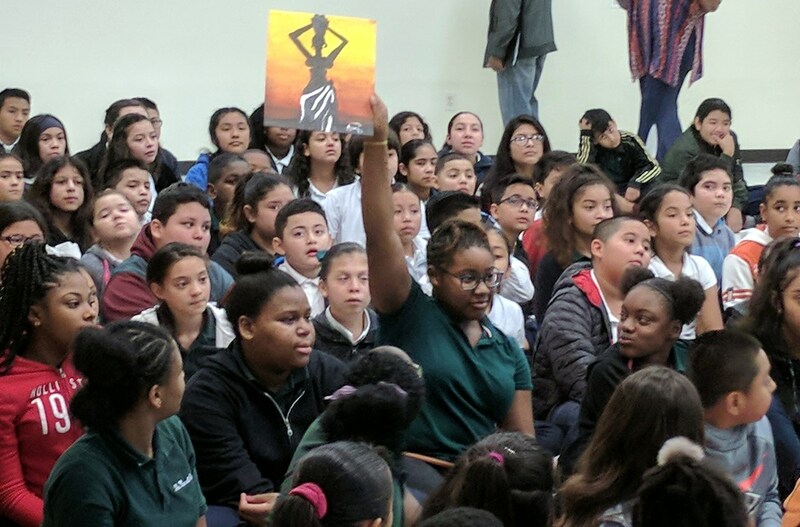 On February 15, 2018, students at The Varnett School Northeast joined those at The Varnett School East for their annual Black History Month program for children in grades 3-6. The Northeast choir sang "Lift Every Voice and Sing" and provided a history of the song, also known as the Black National Anthem by James Weldon Johnson, 1871-1938. 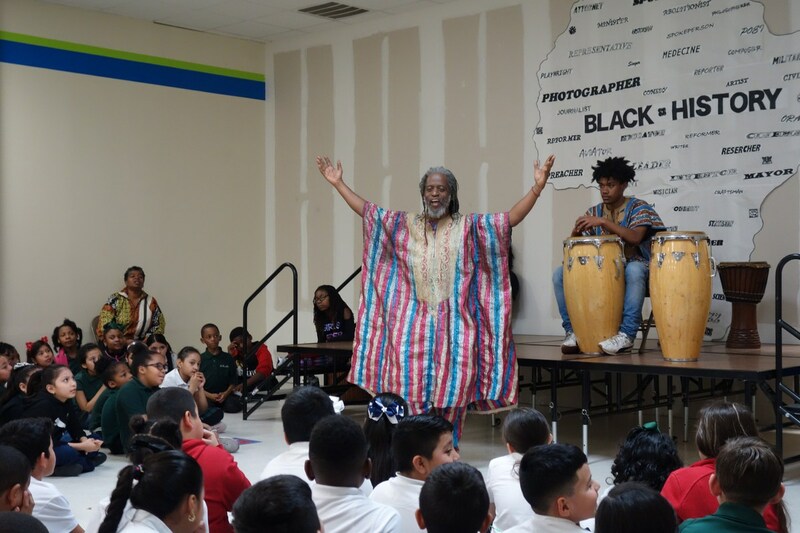 SEHAH Youth and Fitness Center demonstrated an African drum call and African-centered marital arts. 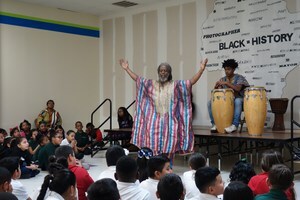 And Baba Ifalade entertained students as he presented stories and songs from West Africa. 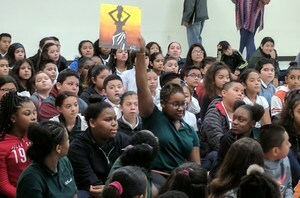 It was a very spirited event at the East Campus multi-purpose room.